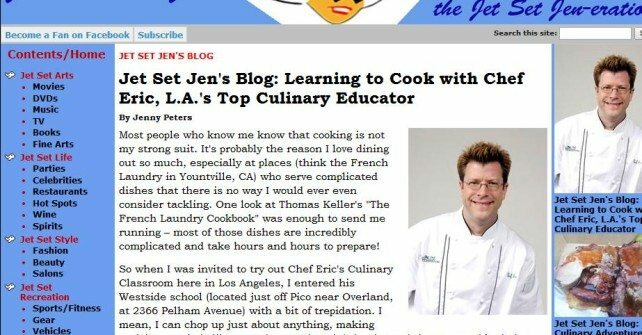 Jenny Peters from Culinary Adventures in California wrote a nice article about her experience with Chef Eric’s Food and Wine Pairing Class. Read it here. I had a wonderful Culinary experience. I learned many new techniques as well as the order in which to prepare each dish. The intimacy of the classroom allows one to ask many questions.